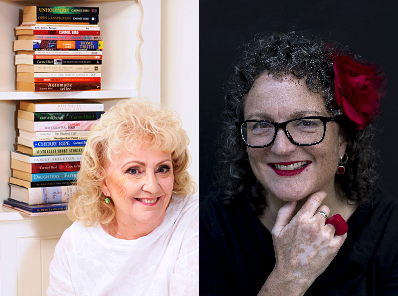 Transit Lounge has acquired world rights to new novels by Angela Savage and Carmel Bird. Savage’s fourth novel, Mother of Pearl, is set in Thailand and Australia, and centres on a surrogacy arrangement. World rights were acquired via Fiona Inglis at Curtis Brown. Currently director of Writers Victoria, Savage won the 2004 Victorian Premier’s Literary Award for an unpublished manuscript for Behind the Night Bazaar (Text), and her books have been shortlisted for a Davitt award and multiple Ned Kelly Awards. Mother of Pearl will be published in July 2019. Transit Lounge also acquired world rights to Carmel Bird’s eleventh novel, Field of Poppies, via Sally Bird at Calidris Literary Agency. Field of Poppies is centred on Listowel, a gothic mansion in small-town Australia, and is described as ‘much more than the story of a tree change gone wrong’. The author of more than 30 books, Carmel Bird won the 2016 Patrick White Award, and has been shortlisted for the Miles Franklin three times. Field of Poppies will be published in November 2019.